An attorney for Gov. Peter Shumlin said Wednesday that Shumlin is prepared to nullify a controversial real estate transaction he conducted last year with an East Montpelier neighbor. 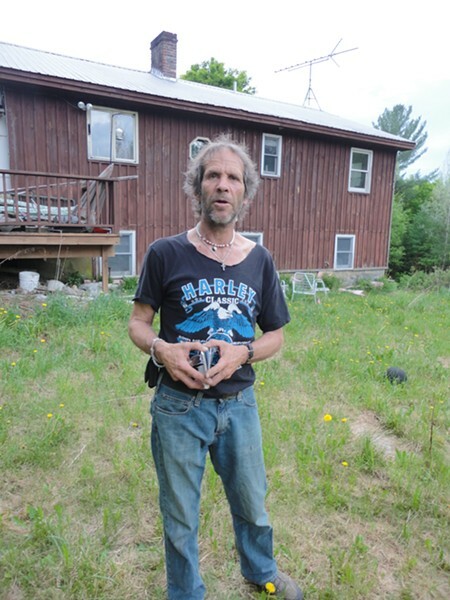 Shumlin's lawyer, former Vermont attorney general M. Jerome Diamond, said he's been attempting to reach out to the neighbor, Jeremy Dodge, "so we can present a number of proposals to make the Dodge family happy about the situation." Having not heard back from Dodge (pictured at right), Diamond said the governor was now floating one of those proposals publicly to make clear where he stands. "We just thought, rather than allow a war of words, the governor wanted to convey at least that the governor wanted to achieve exactly what the family has said they're looking for: which is to put the family back exactly where they were before," Diamond said. In recent weeks, Dodge and his family have said they regretted selling his home and 16 acres of land to Shumlin, who months before had bought a property next door and built a home on it. They say the governor took advantage of Dodge, who was facing a tax sale, was not represented by an attorney and, they claim, has diminished mental capacity. Shumlin maintains he was simply trying to help a neighbor in need. He says his $58,000 offer was a fair price and enabled Dodge to stay in his home until this July. On Tuesday, Dodge told Seven Days his goal was "to get my property back and pay the governor back what he invested in it — and not a penny more." He said he was willing to sue the governor if Shumlin refused to nullify the transaction. Evidently, the governor got the message. "Jeremy has said, 'I want the property back and I want to be able to repay the governor everything I got from him,'" Diamond said Wednesday. "We're saying one of the proposals is to achieve that: to get the property back to Jeremy Dodge and to create a mechanism for him to reimburse the governor for what the governor has spent out of pocket." Diamond declined to identify what other proposals he intended to present the governor's neighbor. Dodge did not immediately return a call seeking comment Wednesday afternoon. News of Shumlin's offer emerged shortly after two Republican state representatives held a Statehouse press conference calling on the governor to support several proposals they said would help property owners like Dodge take advantage of state programs meant to reduce the tax burden on low-income Vermonters. 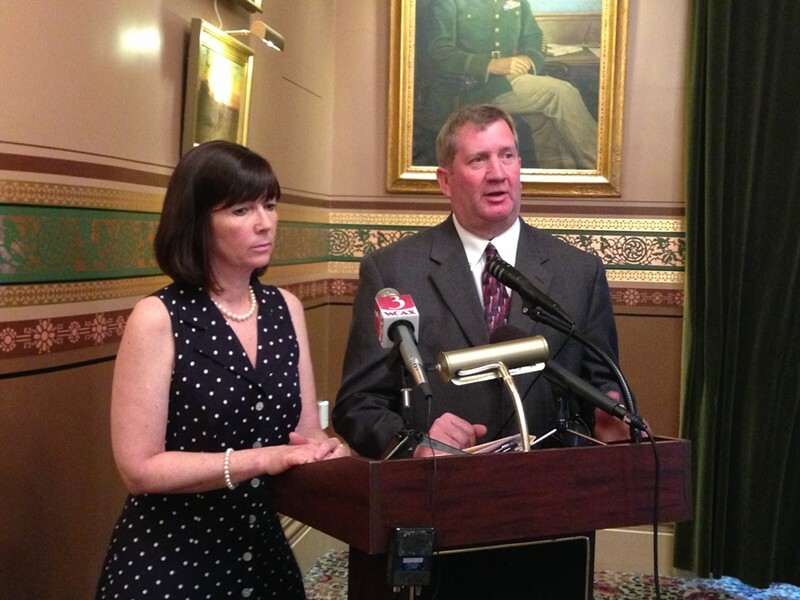 While Reps. Patti Komline (R-Dorset) and Kurt Wright (R-Burlington) claimed they were focused on policy prescriptions, they peppered their remarks with digs at the governor. "It has been suggested that Gov. Shumlin renegotiate his land acquisition deal with his neighbor. I think that's good, but it's not enough," Wright said. "We're calling on the governor to come up with a solution, working with his tax department, to identify and help other vulnerable Vermonters so that no one is forced to lose their home unnecessarily." Said Komline, "This will help prevent real estate investors from preying on the very people who need this support." She later expanded upon the remark, saying, "We don't know how many predators are out there that are looking at this opportunity. The governor— take a look at what the governor did. No one else is stopped from doing the same thing." Asked whether she was specifically accusing Shumlin of preying on a vulnerable person, Komline said, "I think based on your reporting — based on everything that you've reported and things I've read from other people — yes, it looks like this man was taken advantage of." To that, Shumlin's lawyer took exception. "If they were saying he was a predator in this situation, that's outrageous," Diamond said. As for a suggestion made by Wright that "there ought to be some kind of an independent review of this case," Diamond said, "If they feel strongly about it, they ought to file a complaint" with the Department of Disabilities, Aging and Independent Living. Komline and Wright presented Shumlin with several proposals to help low-income property owners confused by what they called the state's "Gordian knot" of tax rebate programs. Dodge, whose annual tax bill amounted to $4597, likely could have paid less than $500 a year, given his annual income of $10,000 — but he failed to declare his property a homestead and apply for an income sensitivity tax rebate. In a letter to Shumlin also signed by Rep. Cynthia Browning (D-Arlington), Komline and Wright said property owners should not have to file a homestead declaration each year. They further suggested that the governor's office collect from municipalities the names of those who owe back taxes and instruct the Tax Department to determine whether they qualify for a rebate. The department could then instruct its taxpayer advocate to "reach out to those folks to offer adjustments and assistance," they wrote. In a statement released shortly after the press conference, Shumlin indicated a willingness to work with Komline and Wright on the matter. "I am always happy to look for ways to ensure that low-income Vermonters have the information they need to reduce their property tax bills and stay current on their property tax payments," Shumlin said in the statement, noting that he helped author statutes creating the income sensitivity program. "I look forward to working with interested legislators and others to improve the system and am open-minded regarding ways to achieve that." Shumlin's tax commissioner, Mary Peterson, echoed that sentiment later Wednesday, saying, "We're willing to try anything to try to get everybody signed up who is eligible for a program." But the commissioner raised concerns about the specific remedies offered up by the trio of legislators. Peterson said the state previously allowed property owners to declare homestead just once — not annually — but found that the change confused those who thought they no longer had to file tax adjustment claims and household income forms on an annual basis. "It didn't seem onerous to file all three [forms] every year," she said. "It's just simpler for the taxpayer." As for deploying the taxpayer advocate to assist those delinquent in paying property taxes, Peterson said it would be difficult to determine which property owners would qualify for income sensitivity based on income tax data alone because eligibility is dependent upon the combined income of all those who live in a house. "But we're definitely willing to take a look at that," she said.